Tag Archives: St Paul’s at the Crossing Walsall. 24TH OCT. 1915: ‘MAKING BOMBS WHILE HER BROTHER IS THROWING THEM’. BATTALION REFITTING: 20th – 24th Oct. ALLOUAGNE. In Rest Billets. Pte BERTIE HIBBETT: LETTER to Arthur & Marie Neal Hibbett, 95, Foden Rd. Walsall. 21st Sunday after Trinity. Oct 24/ 15. ‘Turn again then unto thy rest, O my soul; for the Lord hath rewarded thee’. First Psalm for this morning (1). National Shell Filling Factory Chilwell, Nottingham. 1917. Isn’t Ida a brick. I was so proud of my sister on hearing she was commended by the manager in making or helping to make bombs, that I mentioned the fact that I had a sister who was helping to make bombs to my comrades. One chap gave a brilliant reply and said ‘she is making them while her brother is throwing them’. 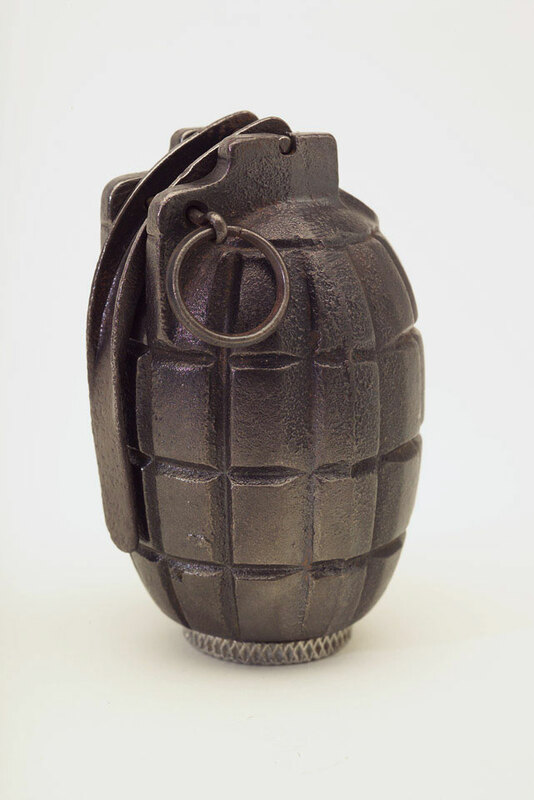 British Mills Bomb No 5 Hand (fragmentation) grenade 1915. (2). Sydney, good old boy, showed me the pin of the first bomb he threw. I am writing this Sunday letter in another barn some distance away down the road from where Sydney is. I was writing a letter yesterday evening when the candle went out. I thought I had better go & buy another, 1½ d each & call to see if there are any letters for me. When I got to the Batt. the post had not yet been sorted & I was about to go & buy a candle when the chap told me there were two letters for me, so I went in the Farm House where Sydney was, for the chap told me that my brother had got them. There in the corner of the room was Sydney poking into a huge box of all sorts of good things, and round him were two or three little children, inmates of the farm. I was not long in opening & reading the jolly long letters from Mother & Ida, with Dad’s few lines of phraseology & Basil’s twiddly bit – on a spare sheet of paper ripped out of his swot book I suppose. Yes Mum I got the one sent to Rouen safely, what a long one too, your poor knuckles must have ached, for I know what it is to write lengthy letters myself. Sydney, naughty boy, is a secretive person, I did not get to know of the letter he got from you last Wednesday until next day & then I had to ask him. He means to keep all reference to his Commission as secret as possible, wise chap, so wise that he would not tell me. I happened to pick up a long envelope with one of Dad’s ‘Editor-like’ letters in and some forms. Sydney was soon on to me. Well he told me he is waiting to see what Mr Crump* sais to the Colonel* (3). Mummy, if you could have got all those people, who kept coming to see him when he was at Home, to have stood outside the farmhouse window & let each one peep inside & see Sydney there, sitting on a chair nursing a poor little laddie who looked at Sydney so lovingly, – well, those with a touch of humour would have roared with laughter and those with a natural inclination for all that is beautiful would have come away with a lasting impression of a picture of true tenderness & boyish love of kiddies. I think Sydney would not take much coaxing to be a Sunday School Teacher. St Paul’s Interior, Walsall. 1915. Today a 3 storey Community centre called St Paul’s at the Crossing. I had a letter from Mr Hurst* saying how the staff of teachers seem to be lacking energy. Mr Darling *(4) will want someone to take the place of the late Mr Cozens* (5). If Dodger can see his way to help at St Paul’s S.S, without hindering his preparations for another smack at the exam, well Mr Darling & I would be delighted. I hinted the matter in a letter to Mr Darling on Trafalgar Day. As a matter of fact Mr Darling said to me that he would be calling on Basil, he was so taken with him & was a rival of Mr Cox* of St Mark’s (6). And then Dodger would be doing a bit more of helping in this War, like Ida, who has so finely set an example. I think Ida, if she were a boy, would soon win the VC, she always manages to distinguish herself in most things she takes in hand. Yes Mum the 1st Lesson of last Sunday was very interesting about the shepherds, wasn’t it? (7). It reminds me of Sunday School work again & is a good lesson for us. Did you compare the 1st lesson with the 2nd one (8) & see how St Paul differs from those negligent shepherds? Aren’t the Psalms for this morning appropriate for a Service of Thanksgiving after the fight? ‘I am well pleased that the Lord hath heard the voice of my prayer’ is a striking verse for the first verse of the 1st Psalm of the morning (9). If you look up your diary, Mummy, you will find out that last year, at this time, I was spending Sunday with you. I was on Home Leave. I enjoyed a lovely slice of pork pie for my supper yesterday (Sat) & brought back with me half the loaf of brown bread and two eggs & some delicious thick broken chocolate. I enjoyed one of the eggs with my bacon at breakfast this morning & took the chocolate with me to the field where we had been training in bomb throwing all day & I am now enjoying the brown bread & the other egg for tea, 4.pm. I shall have to pop down to see Sydney again this evening to taste & see how nice that large cake is. I had an apple too, I must not miss that out & I saw something which I don’t expect I shall see when I go down tonight. Sydney will have demolished both box & cream as well, with his apologies & my forgiveness. I hope you are all enjoying another Happy Sunday. I guess Harold is with you today isn’t he? Never mind, Mummy, if I am not with you to go to Church & hear Our Bishop (10), I shall be with you in spirit, especially when the lessons are being read for I am going to read them out of my Khaki Pocket Bible (11). Have I said all? To make certain to you where I am, I am apart from Sydney but can go & see him in the evenings. My address is to the Batt. just the same as to Sydney only of course I am ‘Private’ – & be sure you address it ‘Sergeant Sydney’. Well her’s tiv us, all on us, May us nivver want nowt, but parcels from Harm. Norn on us, nor me norther. An if yer do owt for nowt, Do it for yer sen (12). The above is splendid economy for these days. I am short of a shirt. And a towel too will want. And hang me I want a hankie too. I am not joking but shall be pleased to get them instead of cakes next time. 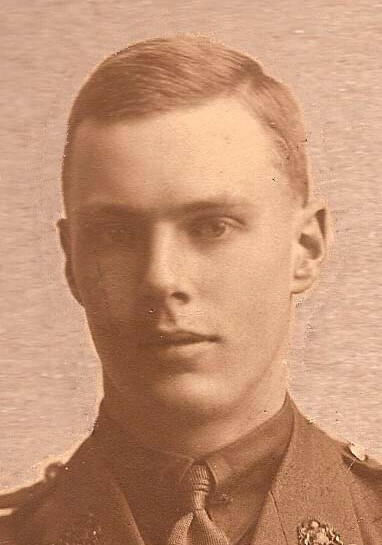 Thanksgiving Services & Memorial Services followed each other relentlessly at Home – while Pte Bertie looks ahead to the Church & Life after the War. NB * Starred Names see Menu Pages. Note: ‘Dodger‘ is one of Basil Hibbett’s nick-names. 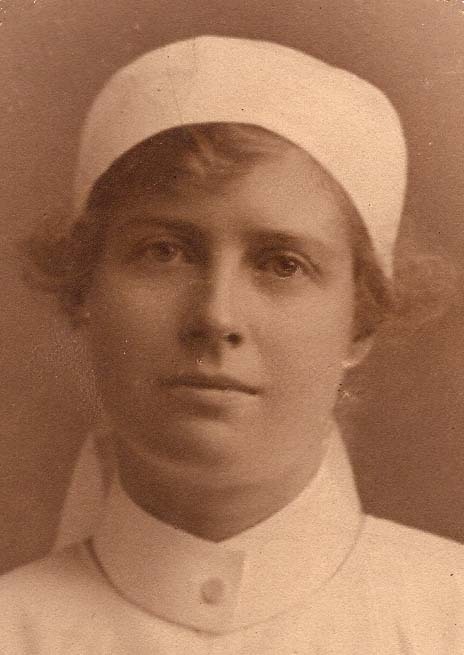 (2) Ida Hibbett seems to have been spending all her time on War Service: Red Cross VAD nursing, helping to create a Card Index of Men Available for Military Service at the Local Government Office – and now making bombs. 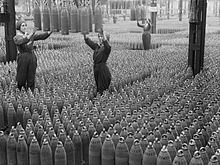 Small bomb factories were set up in local workshops but I have yet to discover where Ida went to make bombs (most likely she was filling shells, like the 6″ howitzer shells made at Viscount Godfrey Chetwyd’s National Shell-Filling Factory, Chilwell, Nottingham. Commissioned 20th Aug. 1915). Ida was to die in 1921 from cancer caused by this work. 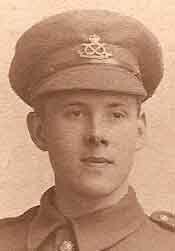 (3) Lt Col. Elden Annesley Crump 3/5th Bn Reserves. (prominent Walsall family – to whom Arthur Hibbett may have applied to re his son Sydney’s Commission). Lt Col Sir Stuart Wortley. C.O. 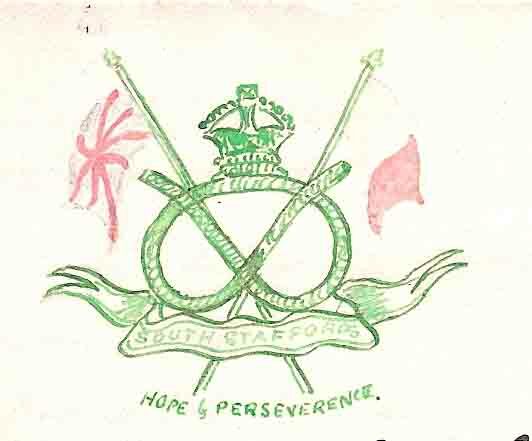 1/5th S. Staffs. (4) The Revd E. More Darling. Vicar of St Paul’s, Walsall. 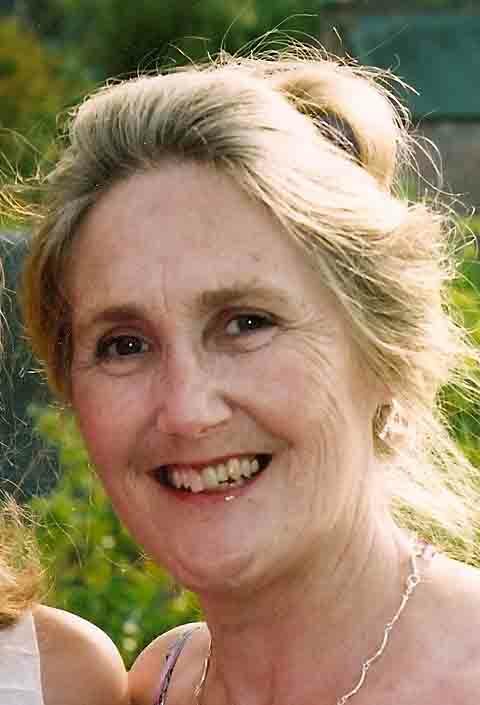 (5) Tim Cozens had been a Sunday School teacher in Walsall. Killed in Action 13th Oct 1915. Pte Bertie could however have been referring to Tim’s father, Henry Cozens prominent in Walsall Church. (6) Mr Cox: Head of St Mark’s Sunday School, Walsall – rival for Basil’s help there? (7) Ezekiel 34 v. 13. ‘Lessons Proper for Sundays’. Anglican Book of Common Prayer. 1662. (8) Pte Bertie appears to be referring to 2 Thessalonians 11 (not the Lesson Proper for 21st Sunday). Maybe he was following an altered reading list, published in Walsall’s Church Magazine. (9) Psalm 116. v.1. (10) Bishop Lionel Crawford. 1864 -1934, Suffragan Bishop of Stafford, Diocese of LIchfield. (11) Khaki Pocket Bible. ‘It is hard to understand British society at the time of World War One if you subtract the Bible from it.’ Dr Michael Snape, Reader in Religion, War and Society at the University of Birmingham. ‘ The Bible was a defining influence on British culture across class divides. 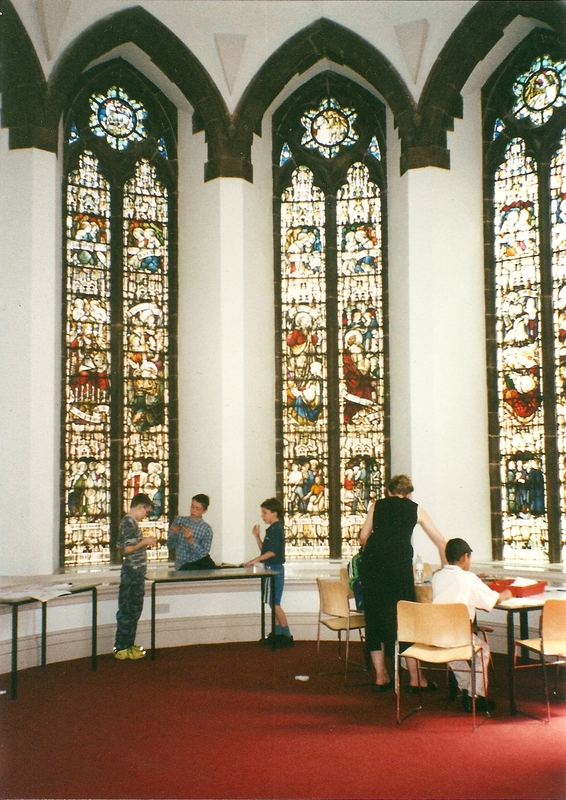 From the public school to the Sunday school, from art and music to political debate, the Bible was in the blood of British people‘. NEXT POST: 27th Oct. 1915. Family Dandelion Wind-clock & Food to the Front. 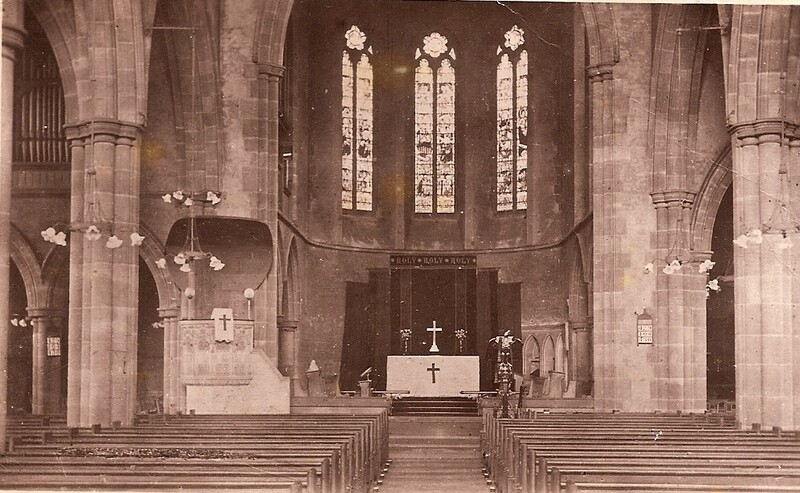 1/5th S. Staffs Bn Refitting Oct. 1915.Bishop of Lichfield 1915.Card Index for Military Service.Colonel Sir Stuart Wortley.Khaki Pocket Bible 1915.Memorial Services 1915.Mills Bomb Hand Grenade No 5.Psalms.St Paul's at the Crossing Walsall.Thanksgiving Services 1915.The Bible & World War 1.The Bible Society WW1.Women bomb-making.Yorkshire Drinking Cheer.